This episode is a continuation of our conversation with Jan Costas. Jan Costas is one of the sweetest and courageous people I know. 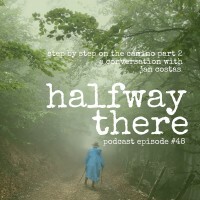 She and her husband Mike took the trip of a lifetime last year that really changed them and their relationship when they did the Camino de Santiago, which is an ancient pilgrimage. Jan learned a number of significant lessons on the trail and she shares them with us. Poco a poco. Little by little. Step by step. One thing common to all pilgrims is sore feet. Pilgrims take care of each other. A pilgrim does not backtrack. We hadn’t even asked. We just talked. And God provided. 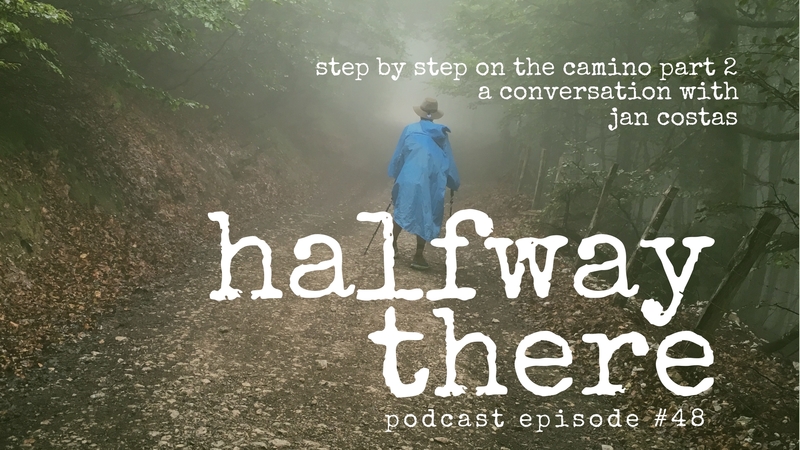 If you haven’t subscribed in iTunes, or left a rating & review for Halfway There, please do that right now! It helps more people find us. Thanks!